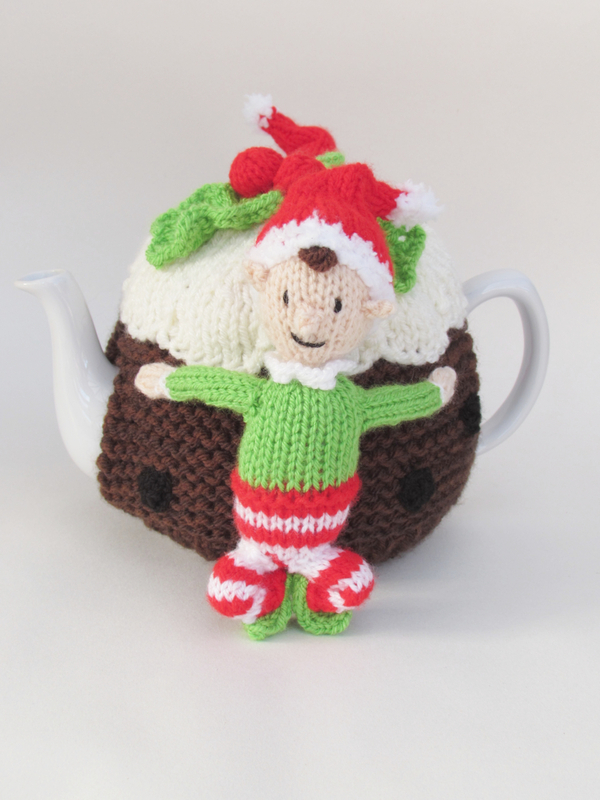 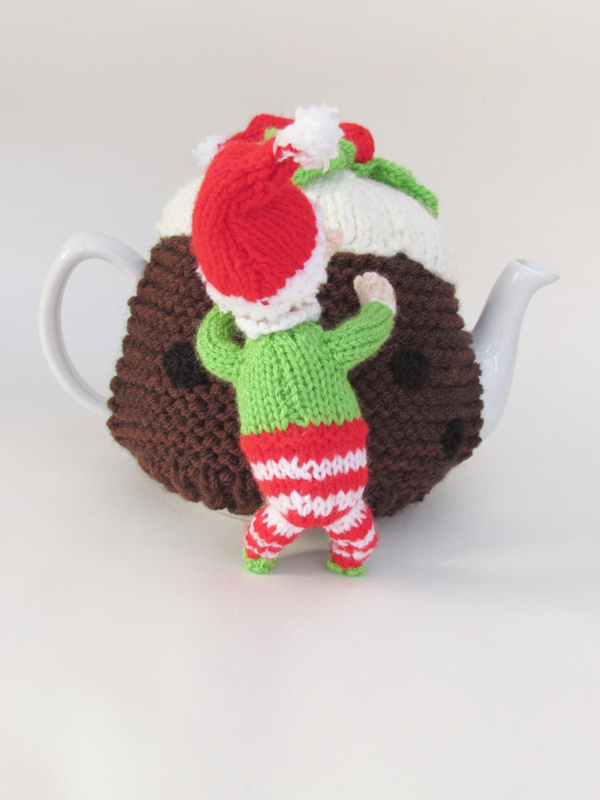 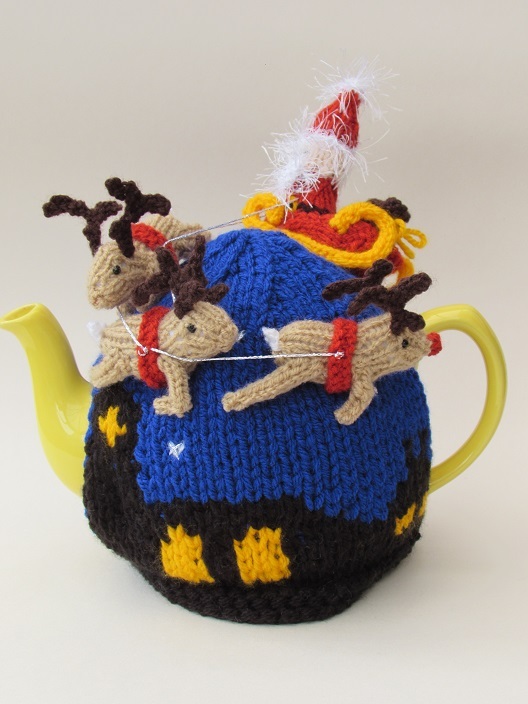 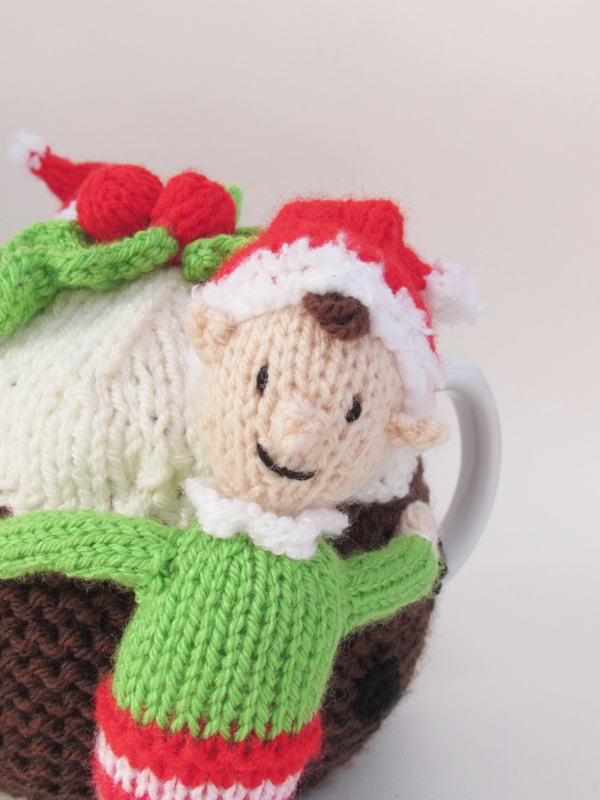 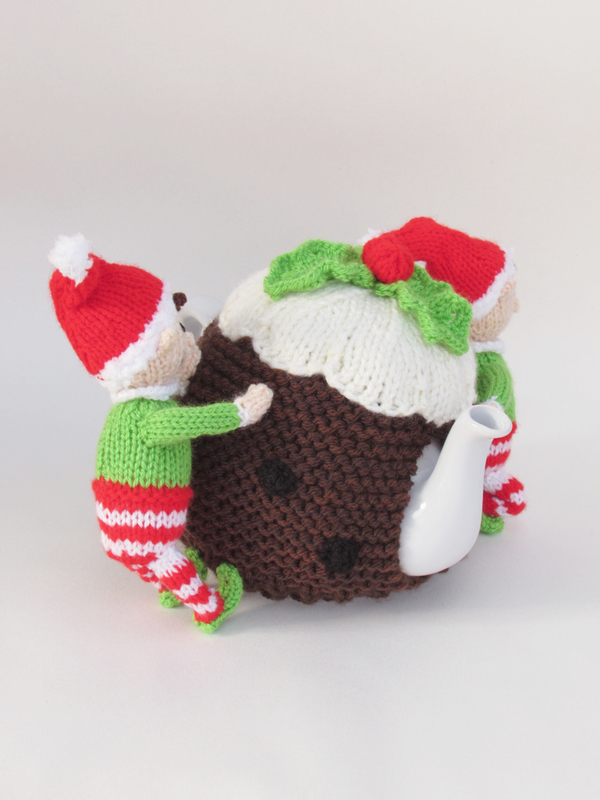 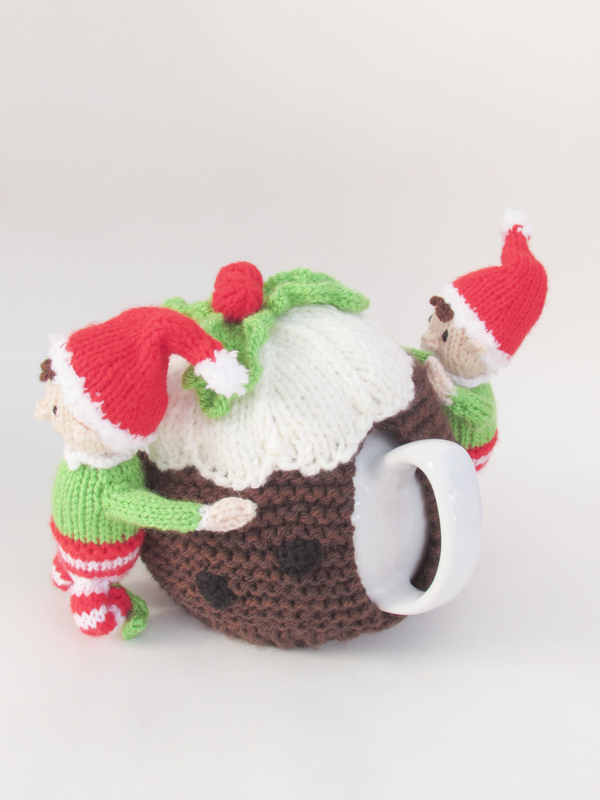 The Elves stealing the Christmas pudding tea cosy is a cute comic Christmas tea cosy. 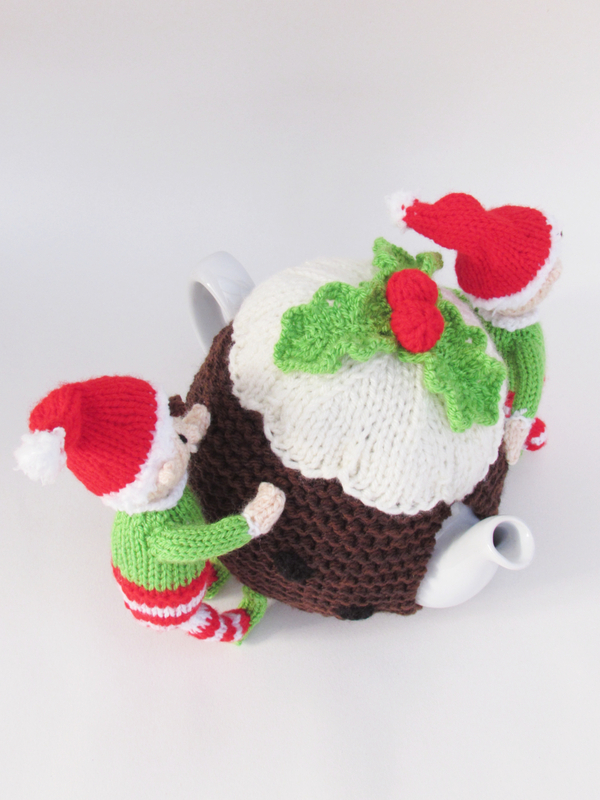 The main part of the cosy is a cannonball style Christmas pudding and on top is brandy sauce and a sprig of holly. 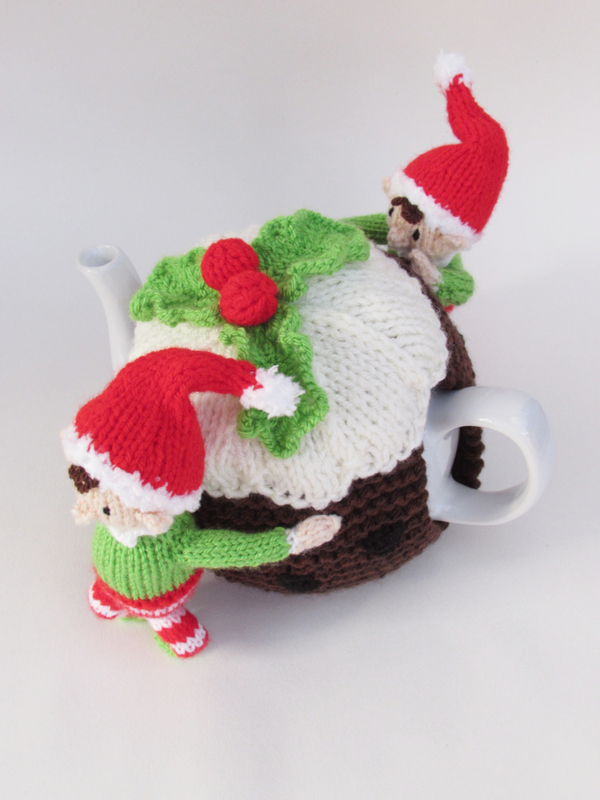 And there are two Christmas elves in bright red and green lifting it up to carry it off. 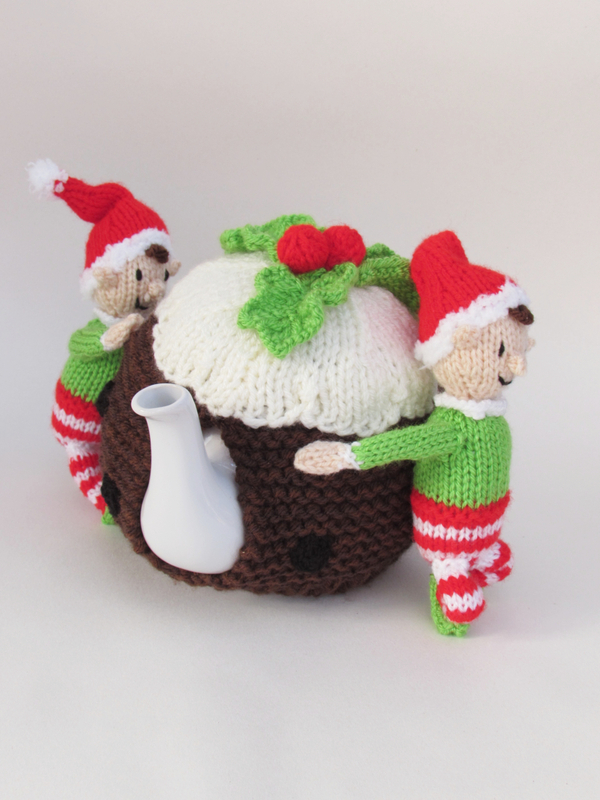 You can imagine that these naughty elves would be chattering and giggling as they steal the christmas pud. 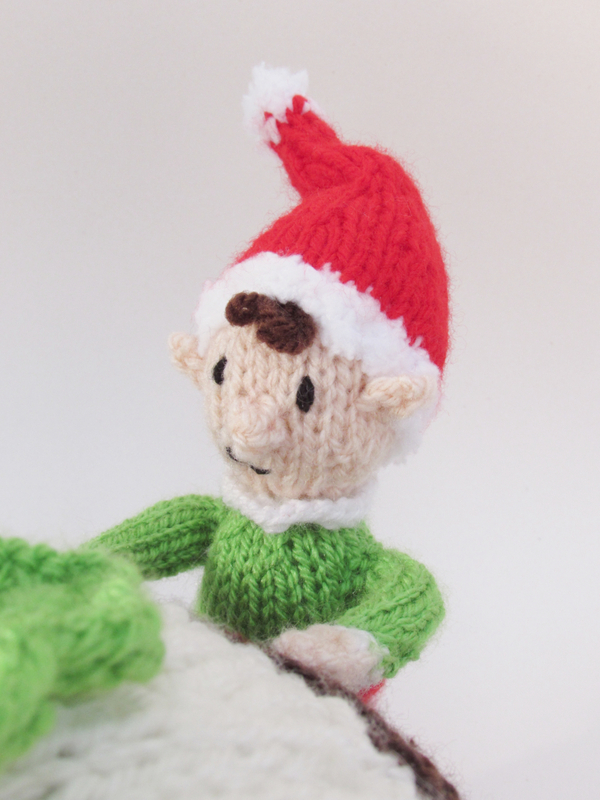 The elves are knitted separately and sewn on afterwards. 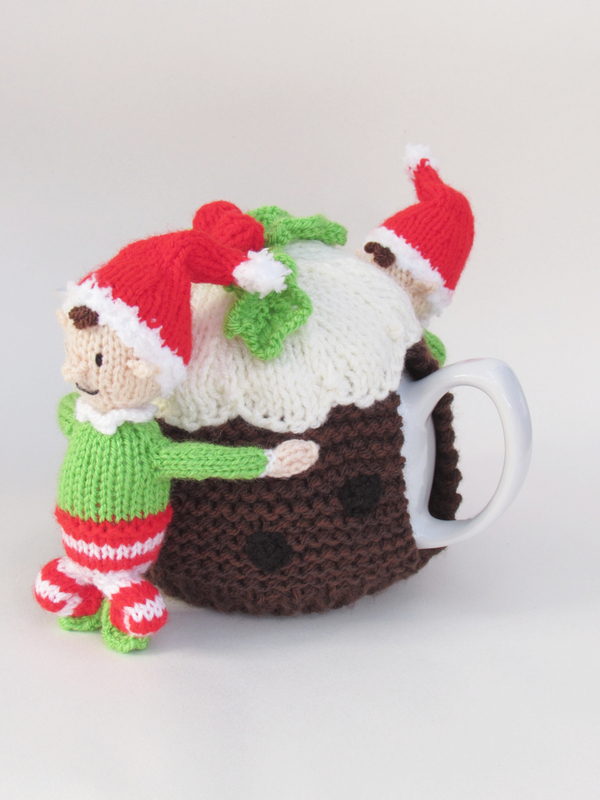 In recent years the Elf on the Shelf character has been very popular and usually he’s a naughty and mischievous elf, and so I thought it would be amusing if these elves had a similar naughty nature. 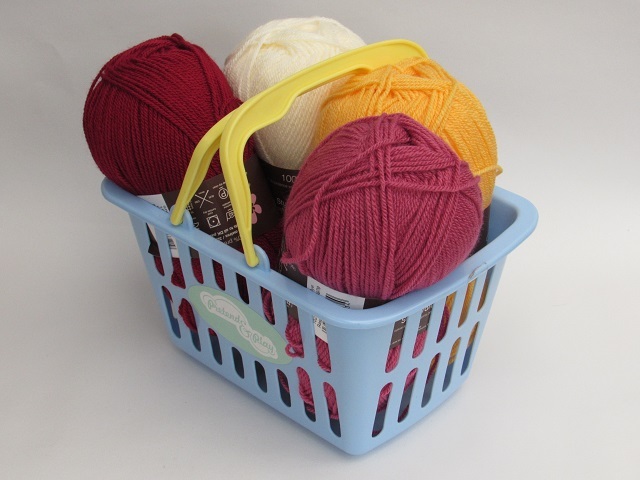 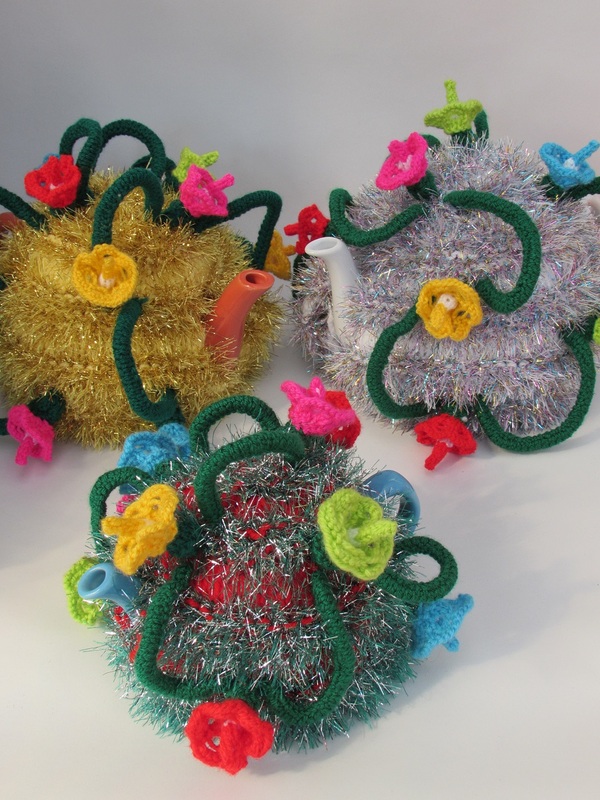 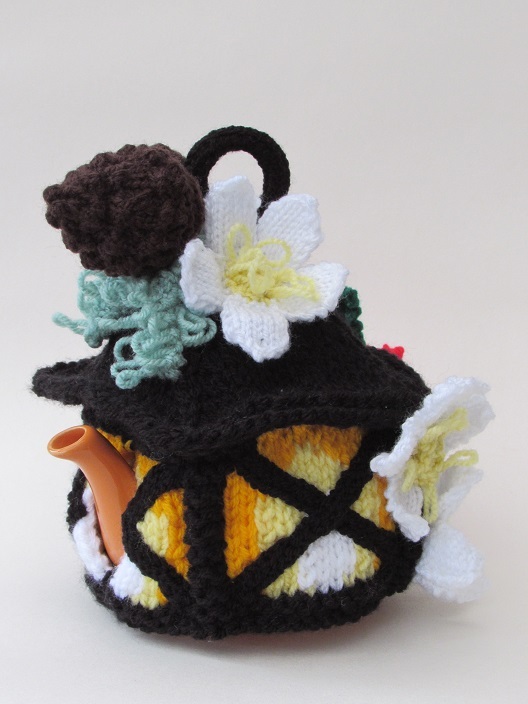 The tea cosy is quite easy to make. 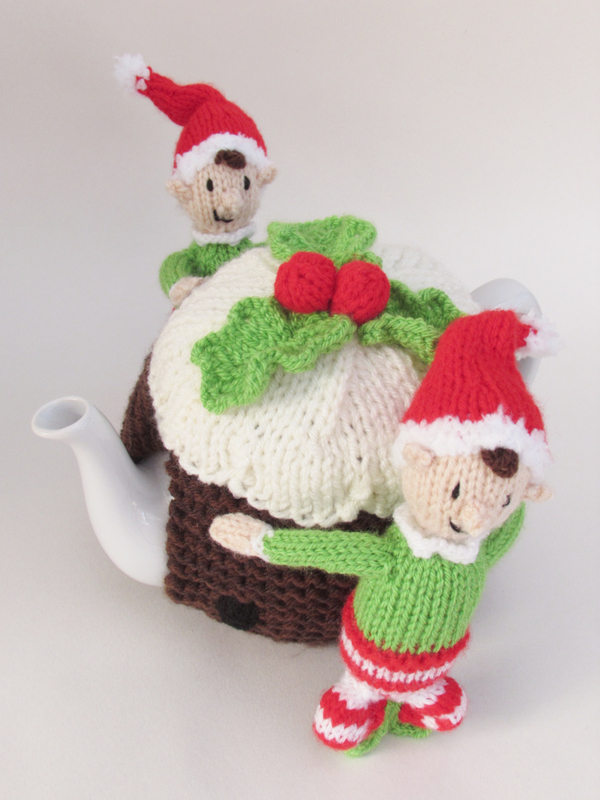 You could knit the elves uniforms in any combination of christmas coloured yarns. 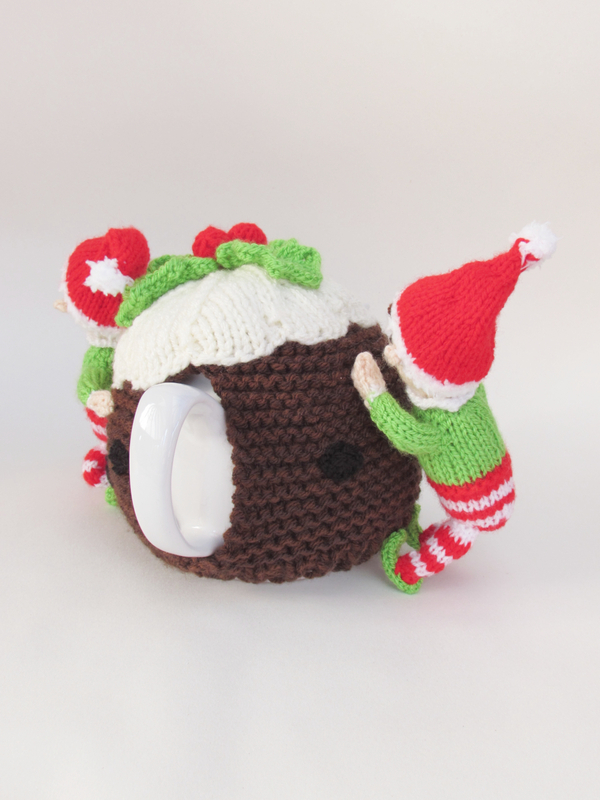 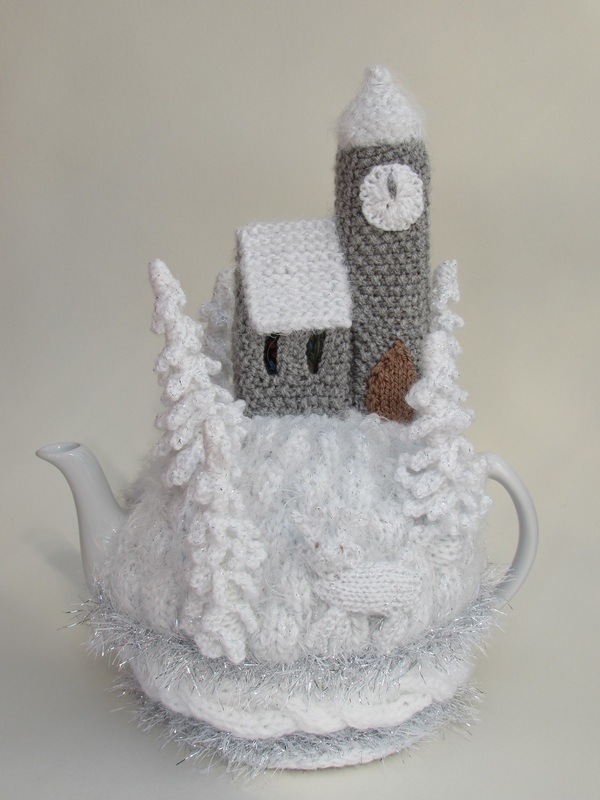 This tea cosy is perfect for people who love a festive tea cosy, and for people who love Christmas pudding.